Department of Surgery would like to congratulate Teddy Puzio, MD, a recent chief resident graduate! 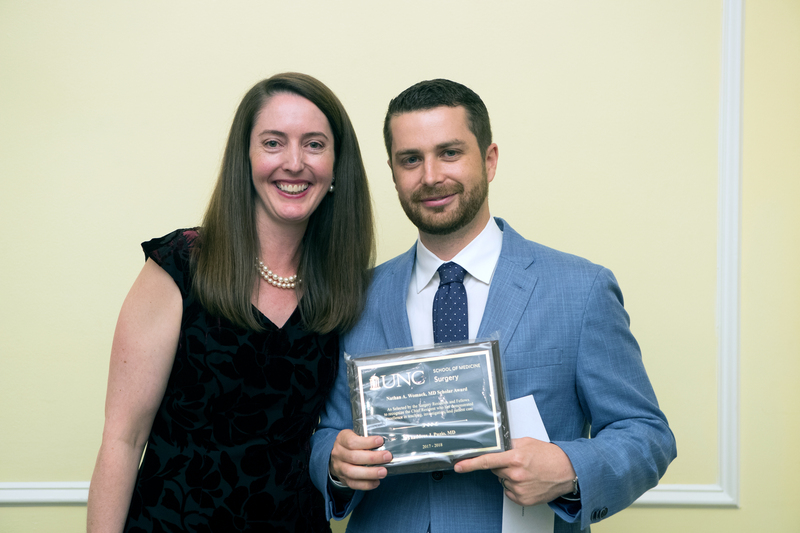 Teddy Puzio, a 2018 chief resident graduate from the Department of Surgery at the University of North Carolina at Chapel Hill was chosen as this year’s recipient of the Class of 2000 Kaiser Permanent Excellence in Teaching Award. This award was created by the Class of 2000 to recognize those residents and interns who contribute in an exemplary way to the education of medical students with their enthusiasm for teaching, including students in patient care decisions, and promoting the involvement of students in the medical team.